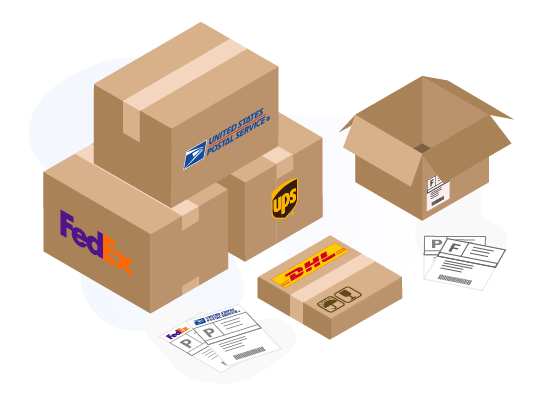 We integrate with the best shipping providers in the world like USPS, UPS, Canada Post, FedEx, DHL, Royal Mail, Aramex, Asendia, Post NL, Parcelforce, Singapore Post, DPD, and Australia Post, to ensure that you have an incredible experience fulfilling your orders. 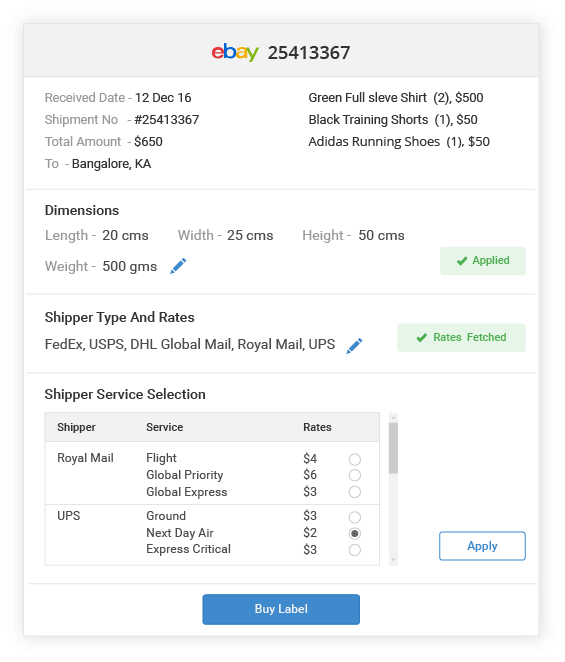 Get rates, fetch labels, and print in batches for easy order processing across online channels. Easily process orders by choosing to create shipments individually or in bulk. You can compare and select the cheapest carrier or choose a single carrier for all shipments within a few clicks. Compare commercial rates of shipping providers to select the best carrier either based on rate or the service provided. Automatically generate and print shipping labels of prominent shipping providers easily with Primaseller’s shipping management feature for eCommerce sellers. 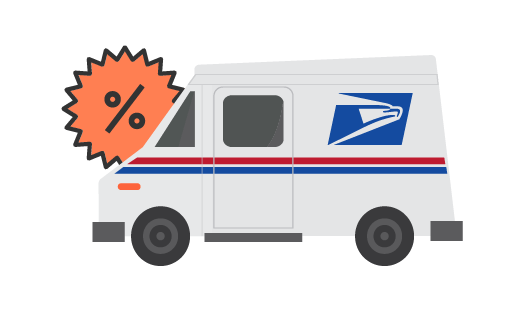 With Primaseller’s USPS integration, you can avail commercial plus pricing to ship your orders at discounted rates. 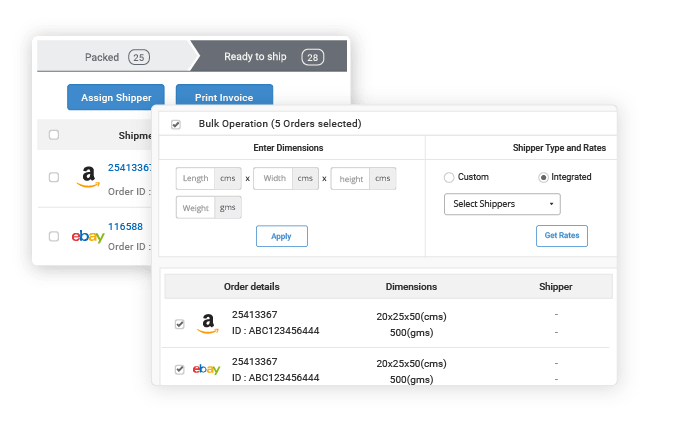 Track your shipments real time and know when it has been delivered to your customers through our integrated shipping module. Get a better understanding of what happens to your products after they leave your store or warehouse.